In combination with Oxygen (O₂) Acetylene (C₂H₂) is used for cutting and welding of steel. * When opening the top valve, large amounts of acetone can come out. The customer might interpret this as water/oil because acetone feels slippery on the skin. Opening the top valve without a fitted regulator should not be standard practice as this can create a fire hazard. * When a regulator is fitted with twinhose and torch, the lighted flame will be very unstable due to the presence of acetone droplets in the gas. This is often referred to as «spitting». Solution is to let the cylinder rest for at least 24 hours (depending on temperature; colder environment might require longer time). 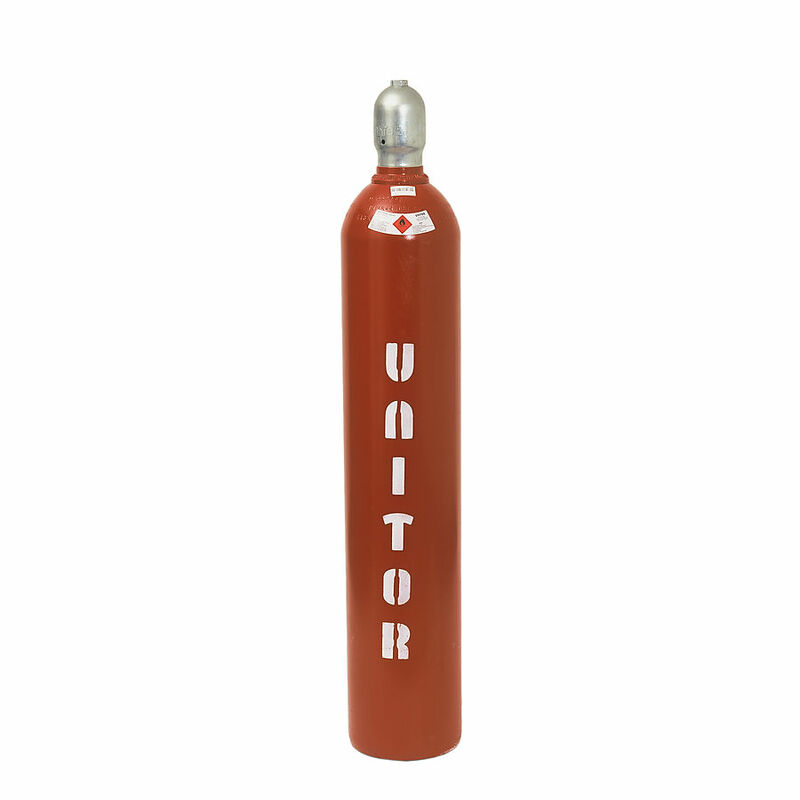 For your safety, the product is delivered in a Unitor cylinder complete with barcode and unique cylinder serial number.